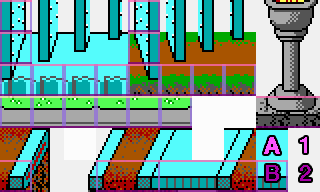 it'd be so beautiful to have something like a visual feature that tells me, which tiles provide animation information. just like this Tile Info Overlay feature for Doors (D) and Deadly (X) Tiles. Fleexy wrote: Levellass, it looks like UNLZEXE is a little tricky but not too bad. (I'm not sure why the UNLZEXE program is so huge, then. 1MB to just decompress stuff!) There's also C source code for it, but my C is weak. I'll look into it. If UNLZEXE.EXE is over 1MB, then whoever compiled the code used a stupid compiler that added lots of useless junk. I wrote a Duke NUKUM to NUKEM patch about 5 years ago that used UNLZEXE code. The DOS version (which was basically a quick hack based off UNLZEXE 0.5) was 27kb when compiled. The windows version (which used my own reimplementation of the UNLZEXE code) was 83kb. And those patches also had to convert the spelling in the decompressed EXE and change the title screens. BTW: I just noticed that I was the one who documented the UNLZEXE algorithm on the ModdingWiki. So if you have questions, feel free to contact me and I'll do my best to help you. please share your recompiled and shrinked UNLZEXE.EXE with us. http://www.shikadi.net/keenwiki/UNLZEXE does provide a 16-bit and a decent Linux version, but for windows users there is only that huge 1MB UNLZEXE 0.81 version available. Yes, I can see how a visual overlay for animated tiles would be helpful. The customized extended tile property viewing feature I added recently will easily be able to accommodate that addition for the foreground tiles. I'm not sure at the moment how much work it would be to include the background tiles. For what it's worth, you could conceivably rig up a PowerShell script that uses FMod.dll's GalaxyTiles class to check any tile property you like. If we could come up with a small version of UNLZEXE (<100KB), that would be great, and I would include it with Abiathar. Otherwise, I'll see about translating that C to a .NET language. Nisaba wrote: please share your recompiled and shrinked UNLZEXE.EXE with us. That 1MB version of UNLZEXE comes from the CloneKeen Plus/Commander Genius project. I remember downloading the IMF player from that project, and its exe was over 1MB, too. The exe I got after getting the source code to compile with MS Visual Studio 2008 was about 143KB with linked-in runtime environment and about 24KB without the runtime environment. So you could probably get similar results by compiling the C code from the CloneKeen Plus/Commander Genius project with Visual Studio. Wow, I just checked the blitzbasic website and noticed that BlitzMax is now open source, but they want you to register in order to download the free version of BlitzMax. I wouldn't do that, just contact me if you're interested and I'll upload my old installer for the version 1.30 demo that I used to compile this. Once you have the demo, you can probably download the full source from github and use the demo version to compile it if you really want to. K1n9_Duk3 wrote: just contact me if you're interested and I'll upload my old installer for the version 1.30 demo that I used to compile this. I had some trouble uploading the file as a whole (7+MB), so I had to create a split archive. You'll need 7zip to decompress this. Also note that you'll need to run the MaxIDE as an administrator at least once, so the demo can place some data in your Windows directory and modify the registry to enforce the 30 day limitation. I recommend running it on a virtual Windows XP computer if you can. I have no complaints, I just keep forgetting where the tileset debugger thing is. besides this video request of yours, don't hesitate asking for help and hints. anytime. 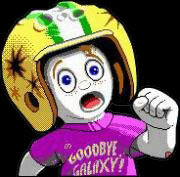 these people around here are delighted to help you with any questions concerning Commander Keen & Co.
...and by the time you're felling more comfortable in modding and stuff you should also head over to keenmodding.org for some heavier patching requests. There are two different invisible "open bridge" tiles, one for the top half and one for the bottom. You've used the bottom one for your entire bridge. The top half tile is 0B51, found in the tileset just to the right of the top half of the closed bridge. You can see an example of a correctly configured initially-open bridge in level 12 (Pyramid_Shadows) of the original Keen 4.
there are top and bottom tiles for bridges. you just forgot to used the upper ones as well. Like A&B use 1&2. you have only picked the tile # 2. Last edited by Nisaba on Fri May 18, 2018 22:09, edited 1 time in total. Yeah, that's the Main reason why I avoid .net and c# entirely. With wxWidgets or Qt for GUI and a new C++ Standard you pretty much can Cross compile and Support various Systems. Eventhough most of us use Windows I consider it important being open to other systems.